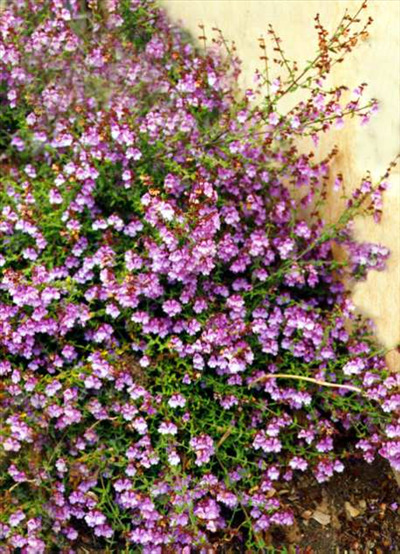 Small spreading shrub, 2x4' with green scented leaves and profuse purple flowers in spring. Suitable for most well-drained soils in full sun or partial shade. Tolerant of moderate frosts. Suitable as a container plant or used as a groundcover.